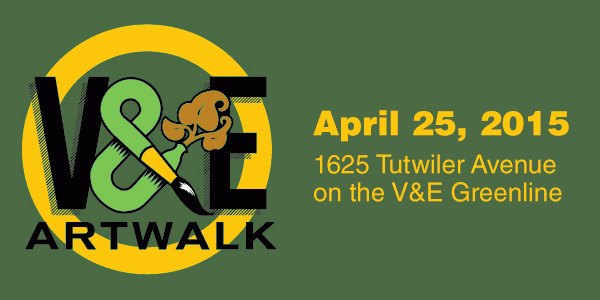 The fourth annual “V&E Artwalk” will raise money and awareness for the V&E Greenline community owned trail which travels through the heart of Midtown and the Vollintine Evergreen Community. The event will feature the work of artists from all over the Greater Memphis area. This will be a large family event that is an annual occurrence in the Midtown area. It will not only raise awareness about sustaining the V&E Greenline as an important Memphis and neighborhood asset, but also provide an outlet for local artists to gain exposure and highlight the thriving art community which exists here in the Memphis area. Artists will be selling their creations at affordable prices. There will be a silent auction from items donated by the artists. There will be a children’s area with art activities and bounce houses. Music by local artists will be a special treat. Several types of craft beer from a Memphis micro brewery will be available. The food will be special: grilled sausages from local vendors, delicious side items, walking tacos, barbecue smoked for this event, hot dogs and hamburgers, and vegetarian items. We expect 70 booths and many, many people from both surrounding neighborhoods and throughout the metropolitan area. All proceeds from the event will go to the V&E Greenline to keep the V&E Greenline attractive and useful for all to enjoy.